[a]fter a jury-waived trial, the defendant, George Fichera, was convicted of breaking and entering in the nighttime with intent to commit a felony, and larceny from a building. He appeals, arguing that the judge erred in denying his motion for a required finding of not guilty, and in admitting evidence rebutting his alibi. We affirm. Commonwealth v. George Fichera, supra. heard the following evidence. Paul Hsi provided computer support at the Massachusetts Institute of Technology (MIT). His office was located within building 37 in a suite of three offices known as room 232. On August 25, 2011, before he left work for the day, Hsi left a Toshiba laptop computer in a black computer bag on the floor behind his chair in his office. When he arrived at work the next day, the laptop was missing. Hsi testified that both his individual office, and the outer door to room 232, were locked each night when he left the office. In addition, because a laptop had been stolen from a neighboring office approximately two years earlier, Hsi had installed on his computer a motion activated recording camera to monitor his office when he was not there. Any time the camera turned on and recorded activity, an electronic mail message was generated with the pictures attached; if there was no activity in his office the camera remained off. Hsi confirmed that the time-stamped photographs admitted in evidence were those taken by his office camera during the evening of August 25. The pictures time stamped at 21:07 (9:07 P.M.) and after, show the defendant entering Hsi's office holding a cup, looking around, picking up the laptop from the bag on the floor, then replacing the laptop and leaving the room, closing the door behind him. Pictures time stamped at 23:52 (or 11:52 P.M.) and after, show the door to Hsi's office open, with just an arm captured in the photo frame and then the screen went dark; several seconds later the office lights came on and the recording ended. Gail Wood, a facilities supervisor at MIT, testified that on the night of August 25, the defendant was working his usual four to midnight shift, and he was assigned to building 41. At 9:00 P.M., she saw the defendant in building 37 around break time; Wood concluded that he was in building 37 without authority, and instructed him to return to his assigned building across the street from building 37. Wood also testified that any complaints would have gone through her and that she did not recall sending the defendant or anyone a page to go to building 37 `or anything like that.’ As required, at the end of his shift between 11:45 P.M. and midnight, the defendant reported to building 10 to return the building keys (to either Wood or the other supervisor on duty) issued to him at the beginning of his shift. Lawrence Brutti, the MIT parking and transportation manager, testified that he provided the campus police with a card activity report for the defendant's employer-issued parking card; the report showed that, while the defendant parked in the `Strata’ garage on the evenings of August 24 and August 26, there is no record that he parked in the garage on the evening of August 25 between 4:00 P.M. and midnight. Christopher Gile, the manager of MIT custodial services, testified that on August 25, 2011, the defendant `swiped’ in and out of work from building 10 (two or three buildings over, and a three minute walk, from building 37) rather than his general practice of swiping in and out of building 32.
custodial/cleaning staff, including the defendant; she also was responsible for responding to any emergencies that might arise in connection with any of the various MIT buildings. [t]o convict the defendant of breaking and entering in the nighttime with intent to commit a felony, the Commonwealth had the burden of proving beyond a reasonable doubt that the defendant was guilty of each of the following elements: `(1) breaking and (2) entering a building . . . belonging to another (3) at night, (4) with the intent to commit a felony.’ Commonwealth v. Cabrera, 449 Mass. 825, 827 (2007). To convict him of larceny from a building, the Commonwealth also was required to prove that the defendant `(1) took or carried away property; (2) which belonged to another; (3) from a building; and (4) with the intent to deprive that person of the property permanently.’ Commonwealth v. Barklow, 52 Mass. App. Ct. 765, 766 (2001). 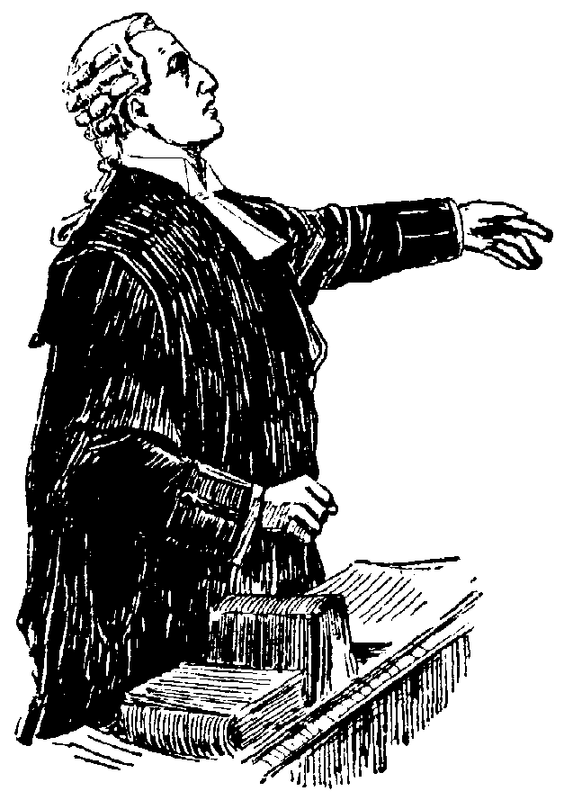 `[w]e review [the denial of a motion for a required finding of not guilty] to determine whether the evidence viewed in the light most favorable to the Commonwealth could have “satisfied a rational trier of fact” of each element of the crimes charged beyond a reasonable doubt.’ Commonwealth v. Conkey, 443 Mass. 60, 72 (2004), quoting from Commonwealth v. Latimore, 378 Mass. 671, 677-678 (1979). Where the evidence is largely circumstantial, it is not essential that the inferences drawn should be the only necessary inferences. `”Inferences from the evidence 'need only be reasonable and possible.’” Commonwealth v. Conkey, supra, quoting from Commonwealth v. Lodge, 431 Mass. 461, 465 (2000). `If conflicting inferences are possible from the evidence, 'it is for the jury to determine where the truth lies.’ Commonwealth v. Wilborne, 382 Mass. 241, 245 (1981), quoting from Commonwealth v. Amazeen, 375 Mass. 73, 81 (1978). Commonwealth v. Deane, 458 Mass. 43, 50 (2010), quoting from Commonwealth v. Garuti, 454 Mass. 48, 54-55 (2009). [r]eviewing all of the evidence in the light most favorable to the Commonwealth, along with all permissible inferences drawn therefrom, we are satisfied that the Commonwealth presented `enough evidence that could have satisfied a rational trier of fact’ that on the evening of August 25 the defendant broke into room 232 in building 37 and removed the Toshiba laptop computer from Hsi's office without authority to do so. Commonwealth v. Torres, 468 Mass. 286, 292 (2014), quoting from Commonwealth v. Latimore, 378 Mass. at 677-678. Gile testified that all of the custodians under his management at MIT, including the defendant, carried a pager while working. Gile provided the defendant's pager to the MIT police, and he observed that only one page was sent to the defendant on August 25, at around 5:00 P.M., relating to `some tickets.’ Gile also determined that no page was sent to the defendant's pager during his shift relating to building 37, and specifically that no emergency page was sent regarding a water leak in that building. The defendant argues that the judge erred in allowing Gile, over objection, to testify about whether a page had been sent to the defendant during his work shift that night; he contends that the Commonwealth failed to provide a foundation for Gile's basis of knowledge. This argument also fails. `[t]he only foundation required for the testimony of lay witnesses is the ability to perceive, recall, and recount information within the witness's personal knowledge.’ Commonwealth v. Cintron, 435 Mass. 509, 521 (2001). See Mass. G. Evid. §602 (2016). Here, Gile's personal knowledge of relevant procedures and his observations of the content on the defendant's pager established a sufficient foundation to support the admission of his testimony. We see no error.